There is a new Raspberry Pi model on the scene — what is being called a “final evolution” of the original micro-computer that has become a cult hit for hobbyists and kids who are interested in coding and the intricacies of computer hardware. The Raspberry Pi foundation announced today that the Raspberry Pi Model B+ is available now for $35 from many of the usual stockists, including main manufacturing partners element14 and RS/Allied Components. The Model B+ uses the same BCM2835 application processor as the Model B, runs the same software and still has 512MB Ram, but the key improvements include reduced power consumption and more GPIO pins. General purpose input/output: The GPIO header now has an increased number of 40 pins for more reading from sensors or writing output. USB: The Model B+ now has four USB 2.0 ports, up from two on Model B. Lower power consumption: Model B+ uses less power of between 0.5W and 1W. Micro SD: The old SD card slot has been replaced with a micro SD version. Better audio: There is now a low-noise power supply. Improved form factor: The USB connectors have been aligned with the board edge, composite video has been moved onto the 3.5mm jack, and there are now four squarely-placed mounting holes. Model B will, however, still be in production as long as there is demand for it, so as to “ensure continuity of supply for our industrial customers,” the foundation says. 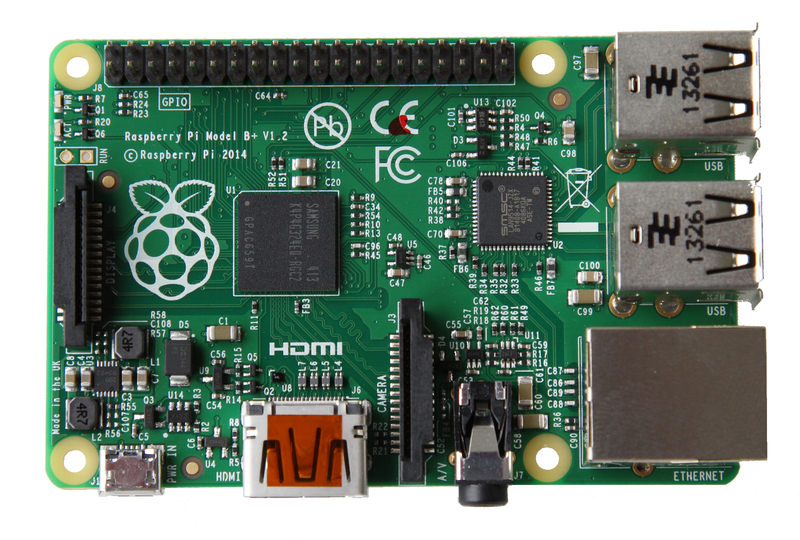 In October last year, Raspberry Pi chalked up a new record after selling two million units. We’ve seen some very cool uses of the UK-built device — for example one guy used it to control his garage door, alarm, thermostat, lights, and even TV. However, the Raspberry Pi has seen more competitors entering the scene as the maker community grows. For example, we recently wrote about a new challenger, the tiny Hummingboard micro-computer from SolidRun, which like the Raspberry Pi, is an ARM-based naked board — and has a 1GHz ARMv7 processor while the Raspberry Pi only has a 700MHz ARMv6 processor.